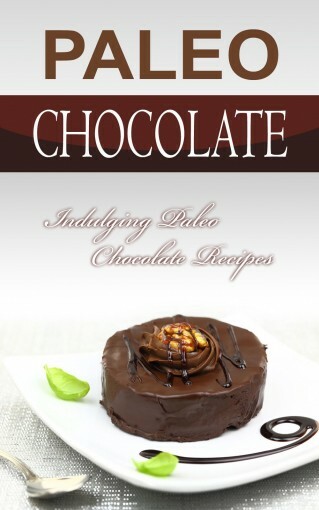 This Paleo chocolate cookbook features 30 indulging chocolate recipes which are absolutely gluten-free and dairy-free. This cook has been designed keeping in view the priorities of a paleo diet follower. 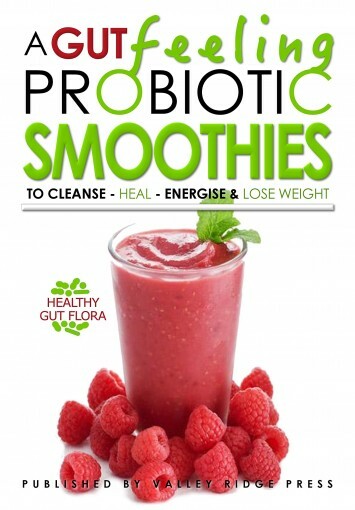 Each and every ingredient contained within these recipes is organic. Now you can easily prepare chocolate at your home with easy paleo chocolate recipes in very little time. The best part is that you get to enjoy this homemade chocolate without the guilt you’d feel if getting it from the store. Homemade Paleo chocolate is far healthier for you than alternatives bought at the store. Some of the recipes featured in this cookbook will help you make: Ferrero Rocher, Twix bars, coconut mound bark, almond butter balls, heart-shaped chocolate bites and dark chocolate. So without waiting any more, let’s be on our way to indulging in sweet, delicious and Paleo Chocolate! When reading through this book, remember that there is no right or wrong way to do yoga. The success is in the practice, not the outcome. Having said that, if you find that a certain yoga practice does not seem to be doing much for you, feel free to choose another one until you find your path to enlightenment and inner peace! Yoga is a practice that everyone is familiar with in this modern age. Not everyone knows what it is, or why people choose to do it, but it is definitely not a foreign concept to most. What many people do not understand, however, is that there is so much more to yoga than an exercise regime. Of course it is one of the most effective ways to lose weight, lose stress, and gain confidence, but did you know that it is an excellent way to also gain control of your mind? There is so much more to yoga than what meets the eye. It isn’t an exercise that people do, it is a lifestyle that people live. Join me on this journey of discovering yoga. 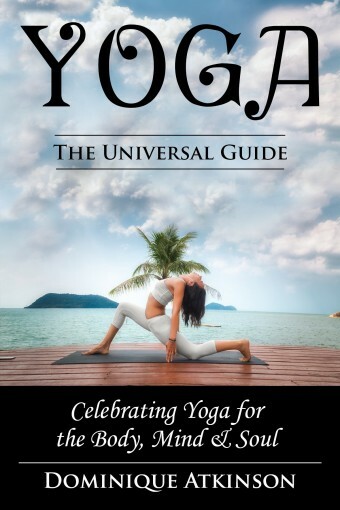 In this book, we are going to explore what yoga is, where it came from, and what it’s all about. It doesn’t matter if you are a beginner, or a seasoned Namaste enthusiast, this book has a lot to offer you. You aren’t going to merely learn about yoga… you are going to learn how to experience yoga. We are going to look at how it affects every part of life, from losing weight and stress to gaining wisdom and confidence. This is a journey that welcomes all, no matter where you are in your life. If you are already one that enjoys yoga, then you know that there is never a time in your life when you have achieved. There is always going to be room for improvement, and there is always going to be something to learn. Yoga is not for the impatient one, and it is not for the person that wants to get things immediately. What yoga is, and who it is for are people who want to take control of their lives and know that there is a subtle healing in everything that they do. This is not an exercise regime, this is a lifestyle that will take you a lifetime to master and flourish in. What are the emotional and physical benefits of yogaThe different yoga techniques, along with the advantages and disadvantages of each oneA detailed step by step guide of positions for beginner’sA more advance guide for seasoned practitioners of yogaHow to live the yoga life every day! Once we have gone through some of the basics that come with the ketogenic diet, it is time to move on to some of the best recipes that you can use to make sure that you get the most out of this diet plan. As a beginner, finding tasty and easy recipes—ones that will ensure that you can get results, but won’t take forever for you to make—can be the hardest part. 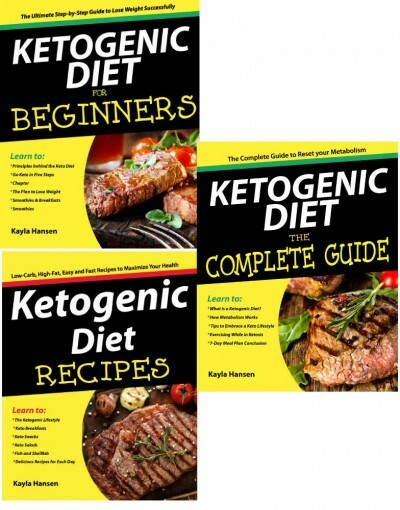 But this guidebook provides you with a lot of the great recipes that you need for breakfast, lunch, dinner, salads, soups, and so much more!The ketogenic diet is one of the best options that you can choose when it comes to losing weight and making yourself feel amazing. 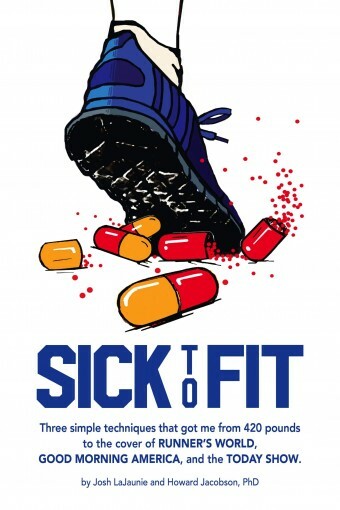 It is going to do wonders when it comes to your health, and this guidebook will help you to get started!There are plenty of books on this subject on the market, thanks again for choosing this one! Every effort was made to ensure it is full of as much useful information as possible, please enjoy! 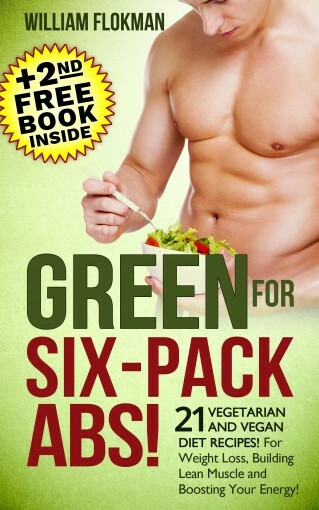 This book has been specifically designed and written for people who are either planning for, or have already undergone the Gastric Bypass surgery for weight loss. This book will help you understand the various aspects of Gastric Bypass surgery and guide you through both Pre and Post-operative phases. The Gastric Bypass Surgery Guide: This part of the book educates you not only about the Gastric Bypass surgery itself but also its risks, health benefits, expected changes in your body and life, and the processes and general procedures that hospitals follow before, during and after the Gastric Bypass Surgery. This section is important for people who are planning to undergo the Gastric Bypass surgery in near future. 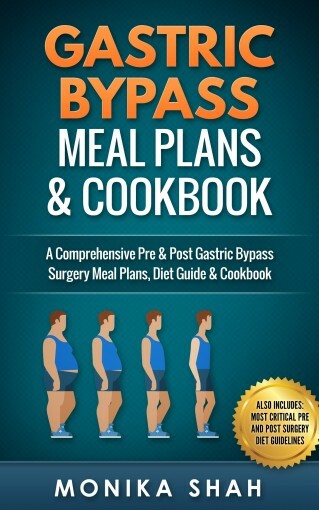 The Gastric Bypass Meal Plans and Diet Guide:This part of the book educates you in detail about the pre and post-operative diet stages. You will explore the detailed pre and post-surgery dietary information that one should follow to sail through the healing period of weight loss surgery. 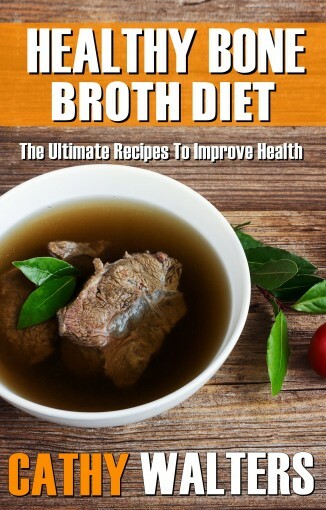 For each of these diet stages, book will unfold the real goals, guidelines, diet control measures and foods to eat and avoid from various food groups in detail. The Gastric Bypass Surgery Cookbook: The cookbook has some really nice, healthy and homemade recipes which are designed especially for people who have undergone the Gastric Bypass surgery. 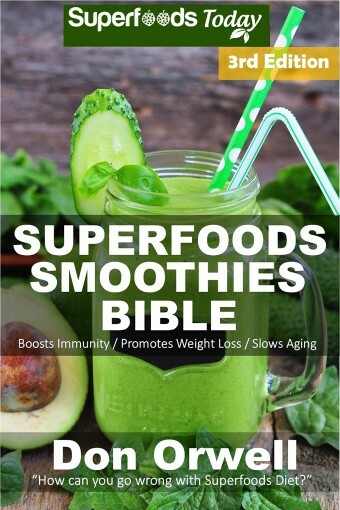 The recipes in the book have been designed using very simple ingredients that people use in their kitchen every day or can find in the grocery stores very easily. Each recipe comes with the clear set of ingredients and instructions along with the accurate serving sizes. 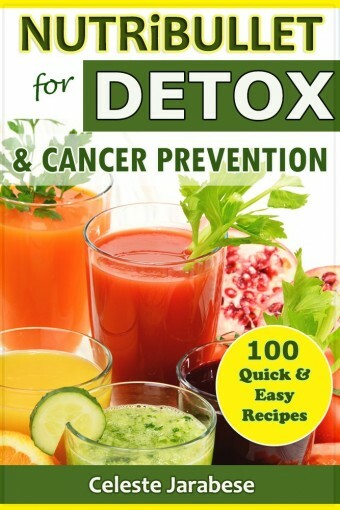 Apart from the above mentioned sections, the book also covers some very important strategies that one may require to deal with post-surgery problems. It will also educate you about the various dietary supplements that one need post-surgery to supply the necessary nutrients to the body.